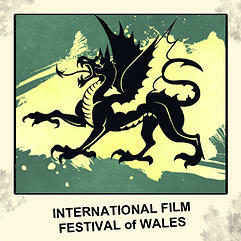 The International Film Festival of Wales. Giving Independent Film A Chance to Shine! The fastest growing city in Wales, Newport hosts what has become one of the great festivals in the UK to get your film noticed. Known for its fiercely independent roots, this festival consistently shows films made on shoe-string budgets that deserve attention. An impressive student attendance rate means your film is not only going to get to be seen by film lovers, but the social networks will be buzzing once they’ve enjoyed it! Local and national press cover the event, with radio stations interviewing film makers, cast and crew on the day, the festival is an important cultural event not just for the city, but for independent film in the UK. The After Party is a ‘not to be missed’ event, if you can get yourself on the guest list! Partying late into the night is all part of the fun and charm of the festival! Each year we have a panel of judges, made up of a mixture of industry professionals and film lovers, who decide on the winners of our impressive crystal awards. We also give the audience a chance to vote on certain awards! Low budget? No budget? A Masterpiece deserving attention? A relaxed cinema on the river, good audiences, plenty of film makers in attendance and an after party to match all other after parties, Newport will get social media networks going crazy for your film when it screens! Our New Screenplay competition has been won by short film scripts and feature film scripts that have gone on to be made by film-makers at the festival, immediately offering to get it made, just upon hearing the pitch! Submit now!